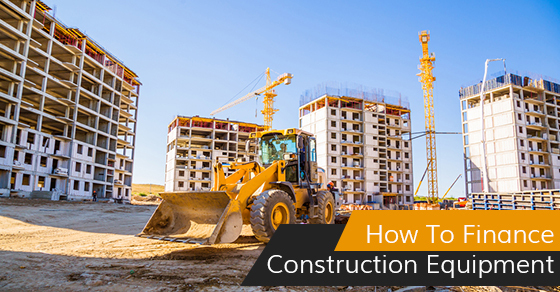 Many people getting into the construction business, even those who have been in it for a long time, understand that part of starting up and maintaining a fleet involves leasing construction equipment, or financing it in a variety of other ways. There is an art to financing and leasing construction equipment and the more industry experience, and financial know-how you have, the easier it is to do. If you are thinking about financing new or used construction equipment, below are three tips to help you do it. The thing that you want to do most when trying to lease or finance a new piece of construction equipment is make it clear to the lender that you are a good investment. One of the best ways to do this is to clear your corporate accounts so that lenders know you are solvent and are going to be able to service your debt. It is also important to have records of your fleet assets as well as any used equipment you might have. People want to know that not only are you going to be treating the money they give you responsibly (this is all the more true if you are leasing construction equipment), they want to know that you treat your other assets responsibly. If you can’t show that you keep your construction equipment regularly maintained, and that you keep responsible records of that maintenance, they may hesitate to lend you money, or lease equipment to you. Lenders are more likely to lease or finance equipment for you that is made by well-known brands that are well recognized for their quality and reliability. If you are trying to get funding for an obscure brand with no proven track record, a lender might envision a situation in which your machinery breaks down or isn’t doing a good job, and you are unable to put it to work, meaning you are unable to make money off of it to service your loan or pay your lease. This automatically makes you a risk. Securing financing for construction equipment, or convincing someone to lease you construction equipment is all about letting them know that you are a safe investment, who takes care of their assets, and has a solid plan not only for themselves, but in order to pay back their debts. If you are trying to secure financing for construction equipment, keep the above tips in mind and increase your chances that someone is going to want to do business with you.